Got a screen your boss can’t see? You’ll be fine then, just have a spreadsheet or something ready to pull up sharpish. 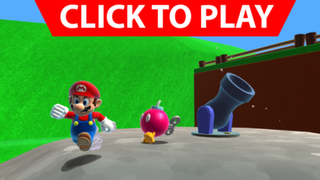 Developer Roystan Ross has recreated Super Mario 64’s first level, Bob-Omb Battlefield, in Unity, meaning you can play it your browser right now if you go here or here.